You may ask yourself, “Why should I even look at a products like Cornilleau Table Tennis tables, when I can go outside and play tennis on an open field?” We try to offer an answer to this question and many more. In our days, no one doubts anymore about the benefits of practicing sports. Studies confirmed that being physically active can help us lead healthier lives, as well as be more productive and even happier. But now that winter comes, weather conditions may interrupt your sports dates with friends and destroy a perfect weekend. What to do in this case? It is simple! 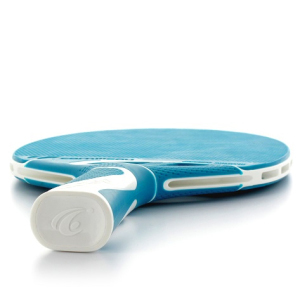 Take advantage of Cornilleau’s 40 years of experience in table tennis equipment and invest in yourself, by buying a Cornilleau Table Tennis table. Cornilleau creates standard size ping pong tables, using top notch manufacturing technologies and materials, and offers you a 10 year warranty for their quality products. Their tables are designed, developed and manufactured in France, but are available in more than 75 countries around the world, so grabbing one would be like a walk in the park. They are using galvanized steel and other anti-corrosion materials to provide a top-quality product, for accessible prices. Among the innovations of the company, we can list: Patented DSI safety system, 2.25″ structural galvanized steel frame, 6″ double-wheel casters with notched tread or patented MATTOP finish for anti-glare and proper ball movement. Additionally, now you can lock the table to be safe even on irregular surfaces thanks to the new Locking System, the most effective safety system on the market. So, as you can see, buying a Cornilleau Table Tennis table and playing ping-pong allows you to play ping pong both indoors and outdoors, helping you stay fit no matter and have fun no matter the weather. More play, more fitness, more development. Plain and simple.